Almost Paradise (a playful pistachio hue) & Footloose (a rebellious red hue); Let's Hear It For the Boy (a baby blue hue) & Dancing in the Sheets (a shimmering midnight purple hue). As tempted as I was, I did not order any of the sets. I wanted only wanted two colors, which happens to be only one from each of the sets. I wasn't willing to buy both set, just for 2 colors. But then, a lovely lady surprised me with a package and gifted me with the red from the collection. Footloose is a vibrant red, describe as a "sheer crème". It's definitely not sheer like a jelly, but more sheer than the average crème. The polish applied beautifully; this was three coats because I don't really like visible nail lines. 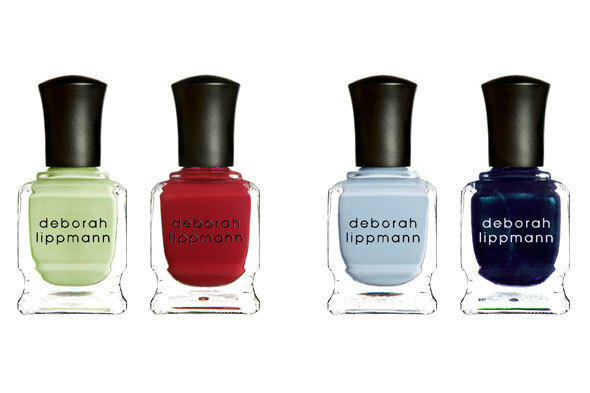 Deborah Lippman the inspiration behind this color were the red cowboy boots Ariel wore in the movie. I have a thing for red nail polish, so this one will fit right in with my collection. Now about the movie remake... Being that I grew up in the 80's, I have mixed feelings about all the recent remakes of the movies I grew up with. My teenage years were spent watching these "classic" 80's movies, so a lot of my teenage memories are tied to them. I like to remember my movies as is, so I'm not running out to see the updated version of Footloose. I will eventually watch it once it's available on DVD. Hey Hollywood... please, please, please, leave The Breakfast Club alone! Thank you for visiting me! This is a definitely a nice red to have.